“Mozart Prep” Michael Bowen, Pacific Northwest Inlander; February 11, 2010. “They’re No Angels” Michael Bowen, Pacific Northwest Inlander; November 19, 2010. 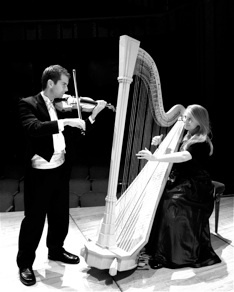 “Creating Beautiful Music Together” David Gunter, Bonner County Daily Bee; August 17, 2009. “A Beautiful Duet” Laura Finney, Spokane Coeur d’Alene Living Magazine; March 2009. Travis Rivers, Spokesman-Review; May 2, 2005. Thank you so much for your wonderful performance. Every one present was impressed and greatly enjoyed it, including me. I am looking forward to watching you playing with the Symphony. We are privileged to have you in Spokane!